The Supreme Court on Tuesday directed West Bengal Police Commissioner Rajeev Kumar "to appear and make himself available before the CBI and to faithfully cooperate at all times" in connection with the investigations into the Saradha Chit Fund scam. The bench headed by Chief Justice Ranjan Gogoi permitted Kumar to appear before the federal probe agency at "neutral" Shillong, making it clear that "no coercive steps including arrest" may be initiated against him. The bench, also comprising Justices Deepak Gupta and Sanjeev Khanna, issued notice to the Chief Secretary of the state of West Bengal, the DGP and the Police Commissioner on CBI's contempt plea, requiring the officials to file their responses on or before February 18. It was further notified that on consideration of the replies, the court may require their personal presence on February 20. 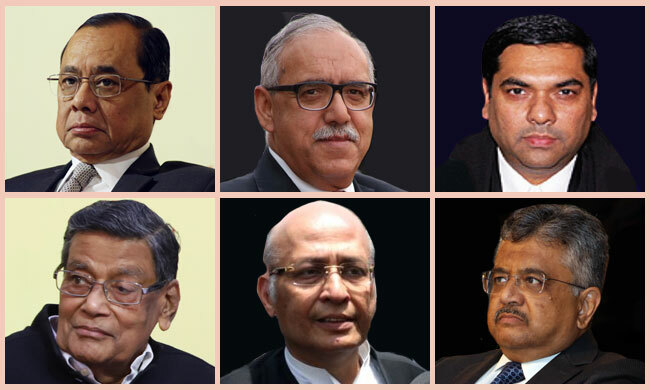 Opening the case for the CBI, Attorney General K. K. Venugopal submitted, "as per Your Lordships's order of 2014, all cases relating to the Chit Fund scam in West Bengal were transferred to the CBI. Before that, the state had itself has appointed a SIT. Between April, 2014 and when the judgment was pronounced in 2017, we have collected material and proceeded to make arrests...some of them were People found close to or connected to the TMC, the ruling party...we issued summons to Kumar (being the functional head of the SIT) as the material handed to us was not complete. So we sent summons and then three notices. when he failed to respond, we wrote to the DGP..."
"Who is the head of the SIT", asked the Chief Justice. "The DGP. But the day-to-day functioning was supervised by the Commissioner...", replied Solicitor General Tushar Mehta. Elaborating on their apprehension of destruction of material evidence, the AG continued, "we had serious doubts as to the documentation handed over to us...see the case of Sudipto Sen who was the head of the chit fund. He was arrested in J & K. A laptop and four-five mobile phones that contained data were recovered from him. Without retaining any part of the data or sending it to the Forensic Science Laboratory to identify and transplant it, the phone was handed back...this was a very serious thing...the call data records were shared with us but were not complete. We found discrepancies in the number of calls, which were drastically less. The details of from whom to whom the calls were made were also deleted...there were four other incidents....we could only take over the FIRs already registered...like, in Rose Valley, where the highest revenue was raised and the most cheating had taken place to the tune of 15000 crores..."
Cutting across the narrative, Chief Justice Gogoi observed, "we were just going through the prayers. As far as the issue of Rajeev Kumar making himself available is concerned, there should be no difficulty. As for the contempt, we'll see. Why should we decide it right now? You are alleging contempt- to see if it is so or not, we have to hear them. We have to issue notice"
Insisting that the issue of contempt is "serious", the AG argued, "CBI officers were forcefully taken to the police station and held there for hours. The house of the Joint Director is under siege. The state police surrounded his house while his wife and daughter were inside. They were banging at the door but he didn't open because he knew something serious was happening...The state police attacked the police force of the Centre which was simply acting on Your Lordships' order! Who was behind this? This is a breakdown of the constitutional machinery in the state! There would be a very serious law and order situation if this is allowed to continue...With all due respect, there must be notice...Can the local police confront the Central police acting on the orders of this court?" Interjecting on behalf of the West Bengal Government, Senior Counsel Abhishek Manu Singhvi advanced, "according to me, this is only an attempt to humiliate and harass. In 2016, this court has appreciated the work of the SIT. The transfer to the CBI was made because this is a multi-state problem. Arrests have been made between 2013 and 2019, but till today, he (Kumar) is not an offender, not a FIR accused...he has only received 160 notices (notice under section 160, Cr. P. C.) three times, and even between the last two notices there was a long gap of one year. Then suddenly, there are the happenings of Sunday? What was the purpose of coming on a Sunday? Two days after political rally and one day prior to the retirement of the DGP? If you violate 160, the offence is bailable and non-cognizable!" He indicated communications inviting the CBI officials for a meeting- "come to my office. If you don't wish to, we can meet at any neutral place in Kolkata where the entire SIT will be present"
"They don't respond! ", contended Dr. Singhvi. Continuing, the Senior Advocate urged, "This court had said that if the CBI has any grievance, they may approach the High Court, and so may the local police. Pursuant to this order, the officers under the Police Commissioner go and seek protection. The Division Bench of the Calcutta High Court grants it. Rajeev Kumar is not in that order but The opinion of the Advocate General of West Bengal is that the order also applies to him. For five years, there is not a single FIR against him. These facts were not told to Your Lordships!... If you are prepared to come on a Sunday, why didn't you go to the High Court to see if the stay order applied to the Commissioner?" "Whatever is being seen today in the application (regarding the destruction of evidence) was not there yesterday morning. It has been added overnight...They are asking for surrender of the Commissioner even when there is no FIR against him? ", pressed Dr. Singhvi. "You assume far too many things", commented the Chief Justice. At this point, the SG wished to relay some information which he had come to possess only this morning- "the justification of the West Bengal government to satisfy Your Lordships is that the 25 officials were held in illegal confinement because there was a notice. After the notice to the Commissioner, the Calcutta police started foisting false cases on the CBI. We sought quashing of these cases in the High Court but some officer (not the Commissioner, clarified the SG) moved the High Court. The High Court was not told that the summons issued were erroneous. They are trying to intimidate me!" "They are not arrested, not detained! ", countered Dr. Singhvi, as the bench proceeded to pass the order.